Communication agency Happiness Brussels recently collaboarted with street artist Ernest Zacharevic on a campaign for Toyota Belgium. 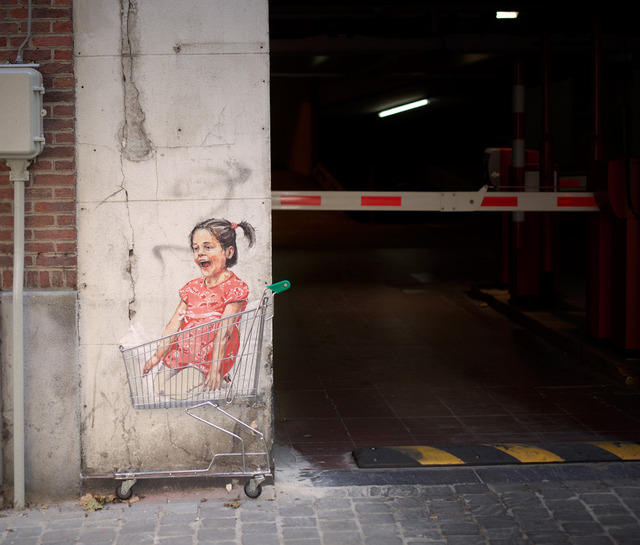 The 'Protect what's behind you' project saw Ernest Zacharevic invading a parking lot in Brussels (Q-Park Lepage) and confronted drivers with the dangers of maneuvering in reverse. Many car accidents happen while maneuvering in reverse. Not only cars get damaged, each year far too many children get injured or killed. This project is also an appeal to drivers to opt for rearview cameras. Check the clip below.